“Something is burdening you," Libby told Roelke McKenna. "Spill it. Now." Libby's eyes narrowed. "I don't believe you." Roelke turned to the kitchen counter where an old-fashioned percolator burbled with promise. Trust his cousin to just know. Thus begins the ninth story in the award-winning Chloe Ellefson series, and thirty-seventh published book by bestselling author Kathleen Ernst. This page offers a rich mix of background information about the people, places, and the past that went into making The Lacemaker's Secret. This book features two separate timelines, delicately laced together. 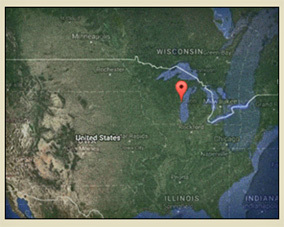 The modern story takes place in late fall 1983 in the City of Green Bay, nearby Door County, and the Villages of Eagle and Palmyra, Wisconsin. The historical story begins in the Kingdom of Belgium during 1848 and continues in Door County from 1854 to shortly after World War I. Museum Curator Chloe Ellefson needs distraction from the unsettling family secret she's just learned. It doesn't help that her boyfriend, police officer Roelke McKenna, has been troubled for weeks and won't say why. Chloe hopes a consulting job at Green Bay's Heritage Hill Historical Park, where an old Belgian-American farmhouse is being restored, will be a relaxing escape. Chloe's research suggests that a rare and valuable piece of lace made its way to nearby Door County, Wisconsin, with the earliest Belgian settlers. More importantly, someone is desperate to find it. Inspired by a courageous Belgian woman who survived cholera, famine, and the most devastating forest fire in American history, Chloe must untangle clues to reveal secrets old and new . . . before the killer strikes again. The Lacemaker's Secret includes photos of historic objects and places mentioned in the story, plus a locations map, and cast of characters. This story is available as a 408-page trade paperback, a 547-page large print hardcover, and in Kindle and Adobe EPUB3 ebook formats. "In this heartfelt tale of labor and love, Ernst produces one of her most winning combinations of historical evocation and clever mystery." 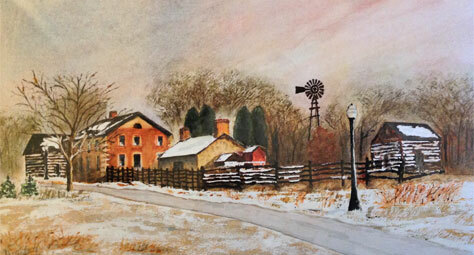 "The Lacemaker's Secret is a gem, a blast from the past, and a cozy with a kick. The multifaceted characters are all memorable and well developed, but it's the series' star, Chloe, and Roelke, her cop beau, who stand out. The multiple story lines are decidedly demarked, tightly plotted, and picturesquely painted. The even pace, superb writing, plus a few surprises and a-didn't-see-it coming ending keep the pages turning." "We thoroughly enjoyed this book! The Lacemaker’s Secret is an intriguing mystery that is full of fascinating historical details and perfectly captures our local culture. The challenges, determination and triumph of the early Belgian settlers are brought to life, as well as the enduring respect of generations of descendants who continue their traditions and love of the land. As supporters of the Belgian Heritage Center and descendants of those courageous Belgians, we couldn’t ask for a more entertaining way to share our story." "A fantastic story filled with characters that are truly believable. They will draw readers deep into their lives. This is an amazing read!" 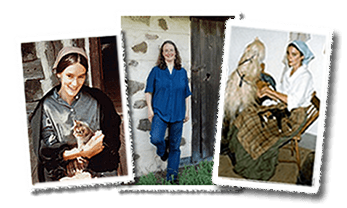 "The Lacemaker's Secret...allows readers rare access to Wisconsin's old country heritage through a factual and picture-perfect manner. 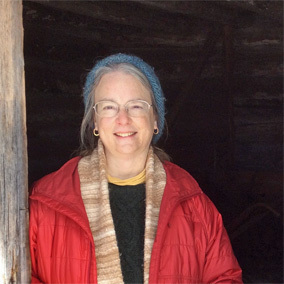 ...My old log cabin maker's hat goes off to Kathleen for bringing attention to many important stories and sites of pioneering, and those who risked everything to begin again in the New World." Enjoy the author's insights about the story, characters, and settings. Note: additional posts will be added below over time. One of the pleasures of writing a series is the opportunity to delve more deeply into the main characters with each new book. Chloe and Roelke’s struggles often mirror issues that the historical characters face. Themes in this book—reflected in both the modern and historical timelines—include challenges of faith and forgiveness. Faith helped Belgian immigrants face the enormous obstacles they encountered, beginning in the 1850s, establishing new lives as farmers in the thickly forested wilderness of northeast Wisconsin. 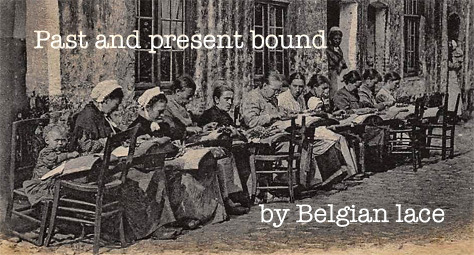 Their faith, and incredible hard work, created the largest rural settlement of Belgians in our country. As Chloe researches their history, she becomes dangerously tangled in a pattern of modern murders tied to their Belgian American descendants, and lace. P.S. -- Roelke spends much of this book in the Village of Eagle—pursuing a cold case and wrestling with his own challenges of faith and forgiveness—before uniting with Chloe to help her bring the modern story to an exciting and satisfying conclusion. To help readers understand on a personal level some of what the Belgian immigrants experienced, I created the character of Seraphine Moreau. You’ll first meet her in the Kingdom of Belgium when she and her twin Octavie, newly orphaned, are sent to a convent. There they learn the delicate art of making bobbin lace. Seraphine discovers she has a talent for the work, and dreams of being a piqueuse—one who creates lace patterns. Seraphine grows into an accomplished lacemaker, and becomes engaged to her childhood friend; Octavie's faith deepens, and she commits to becoming a nun. Seraphine's fiancé, Jean-Paul LeJeune, announces he is emigrating to Wisconsin to start a farm, and asks her to join him. 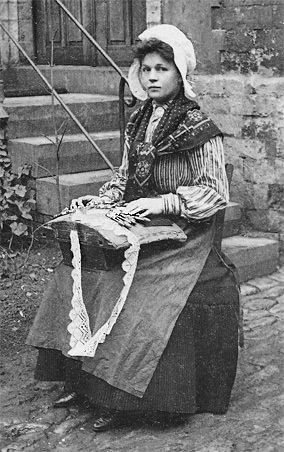 Reluctantly she bids farewell to Octavie, the convent's sisters—and to lacemaking. Perhaps forever. What follows are the stories of their lives, as seen through Seraphine's eyes and letters the twins exchange over decades. 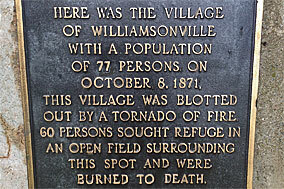 Many scenes in this book are set at places in the Namur Belgian-American Historic District, and at Green Bay's Heritage Hill State Historical Park, that you can visit. I'll add a custom interactive Google map below so you can also virtually visit key public locations where scenes are set. Historical events and objects, and heritage crafts and traditional foods, are staples in each one of my Chloe Ellefson mysteries. The Lacemaker's Secret is no exception. In most of the Chloe mysteries I include a folk art from the featured ethnic group, but a tour of the Smithsonian Institution’s superb collection inspired me to spotlight Belgium’s famous lace industry. I'll add a slide show here featuring images of some of my favorite things from the book, including examples of Belgian lace. Thanks to the magic of digital media, you can now eavesdrop on me discussing Chloe, Roelke, and Seraphine on this popular Wisconsin Public Radio show. The Lacemaker's Secret can be purchased from the following vendors (and others) in trade paperback, hardcover large print, and multiple ebook formats.